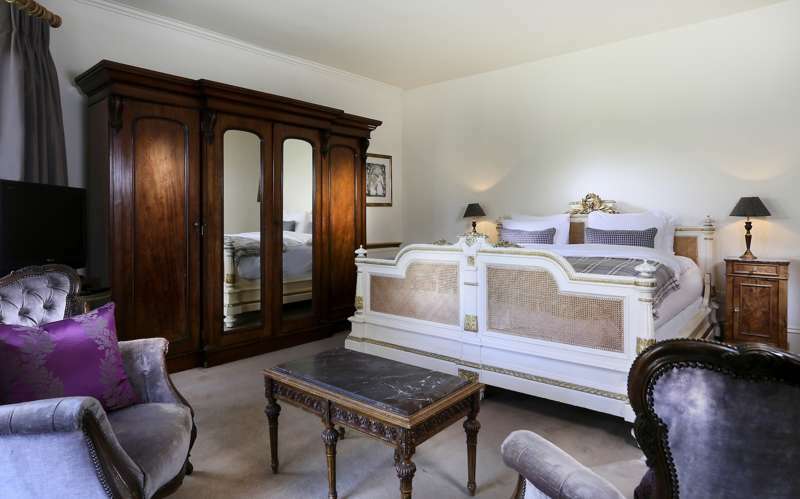 A cool and thoroughly up-to-date coaching inn, the perfect blend of traditional and contemporary. 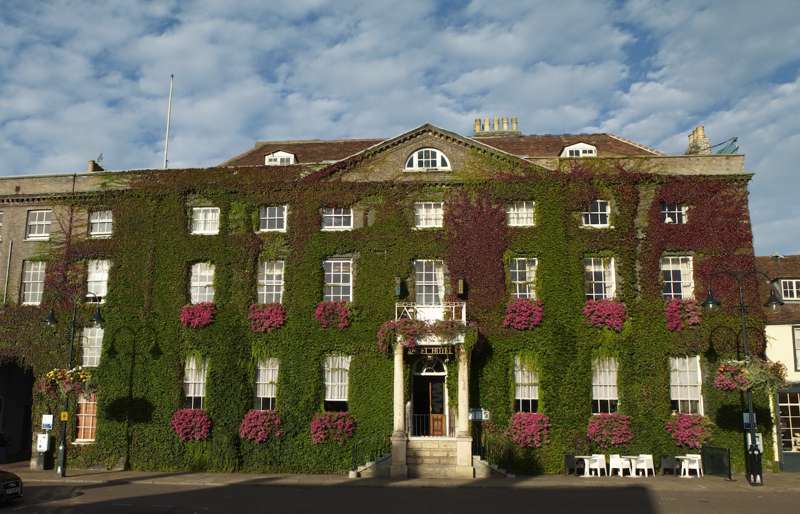 We love this ivy-swathed old Georgian coaching inn, situated right opposite the abbey in Bury St Edmunds. Like all the best hotels, the bustle of its lobby, combined with the cosiness of its lounge, make you feel at home right away, and there's a unique blend of traditional and edgily contemporary that works brilliantly, not least in the Wingspan bar, carved out of the building's Gothic vaulted basement and with a counter fashioned out of an aircraft engine and tables made from aircraft doors. The rooms, too, combine calm Georgian elegance with a touch of contemporary flamboyance, along with the sort of thoughtful and stylish modern comforts you might expect from a hotel of this quality – flatscreen TVs, large and funky bathrooms with giant free-standing baths, classy toiletries and good quality tea- and coffee-making facilities. Choose a room at the front of the building so you can sip your tea and gaze out of the window at the abbey ruins opposite, and then float down to the excellent Eaterie restaurant on the ground floor, where they serve a great Modern British menu in surroundings that are deliberately informal. Service is low-key but attentive throughout, and like its ultra-cool sister hotel, the excellent Salthouse Harbour in Ipswich, nothing is too much trouble. All in all it's just the place for a romantic weekend away. 78 beautifully and often quirkily decorated rooms and suites. Double rooms with breakfast from around £125. Good Dinner, Bed & Breakfast deals too.